Walnut color 37 1/2 inches wide, 43 inches tall, 18 inches deep. 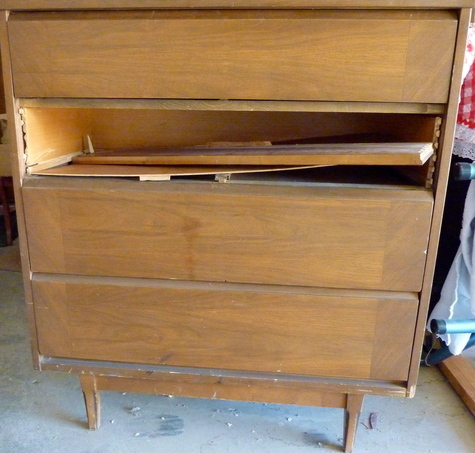 Four drawers but one draw was damaged. I have the pieces and the front that matches the other drawers.